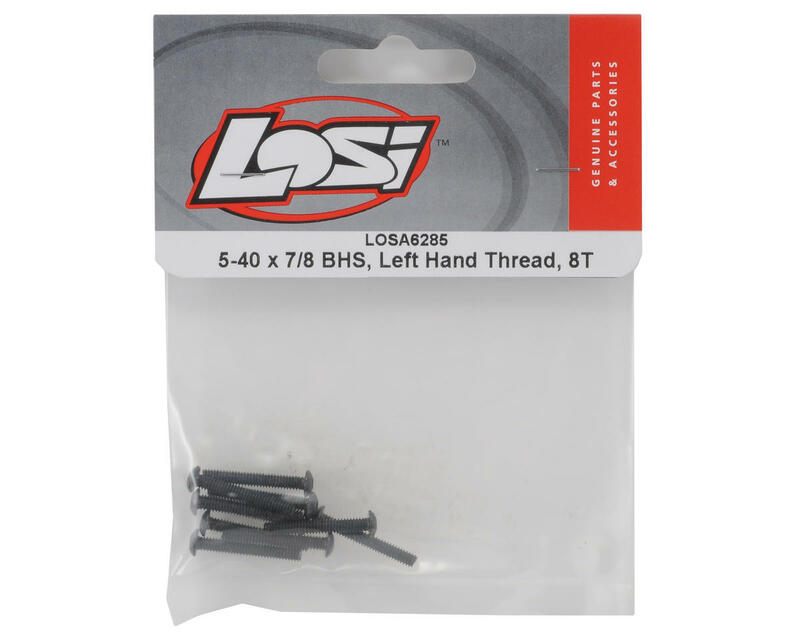 This is a set of ten replacement Losi 5-40x7/8" Left Hand Thread Button Head Screws, and are intended for use with the Losi 8IGHT-T 2.0 trucks. This screw is used to mount the lower shock end to the suspension arm. This Left Hand Threaded Screw eliminates the bottom shock screw from coming loose during long runs. 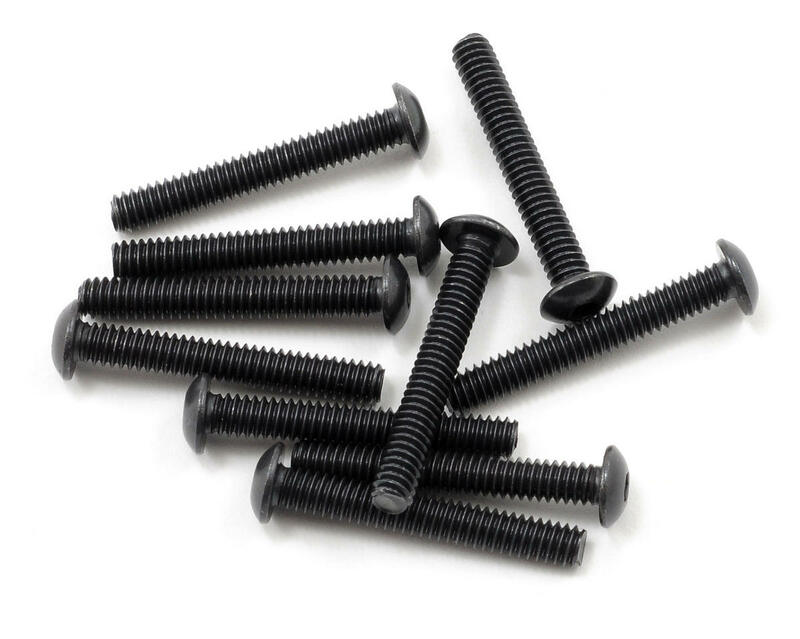 These screws are only used on the left rear and right front suspension arms and have a Black Oxide coating for easy identification.